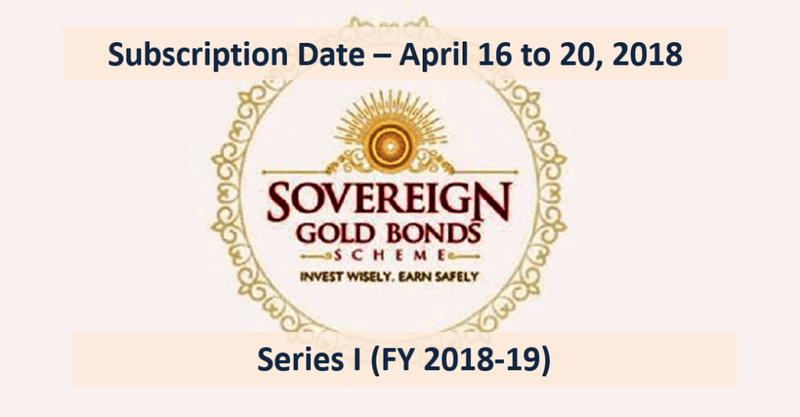 Sovereign Gold Bond - April 2018 - Review & How to Buy? Government of India has launched the Series I for FY 2018-19 of Sovereign Gold Bonds from April 16 to 20, 2018. These bonds are investment scheme where investors could buy gold in the form of Gold Bonds from Government of India. Listing: The bonds would be listed on stock exchange and can be sold/bought though demat account. 1. The interest received is added to the income and taxed at the marginal tax slab. However there is NO TDS on the interest. 2. Budget 2016 has made gains on redemption of the bond exempted from capital gains tax. This means if the subscriber redeems the bond after 5 years, no tax would be payable on the gains. 3. However if the bond is sold, any gains would be considered as capital gains as in case of physical gold and taxed accordingly. If the bonds are sold with in 3 years of purchase its short term capital gains and is taxed at marginal tax rate. In case the sale is after 3 years its long term capital gains and is taxed at 20%, with indexation benefit. The last tranches of Sovereign Gold Bond are listed on stock exchanges and trading between Rs 2,700 to Rs 2,850 per bond (as of April 15, 2018). The prices are definitely lower than the fresh issue but the problem is you may not be able to buy as the traded volume is very low. 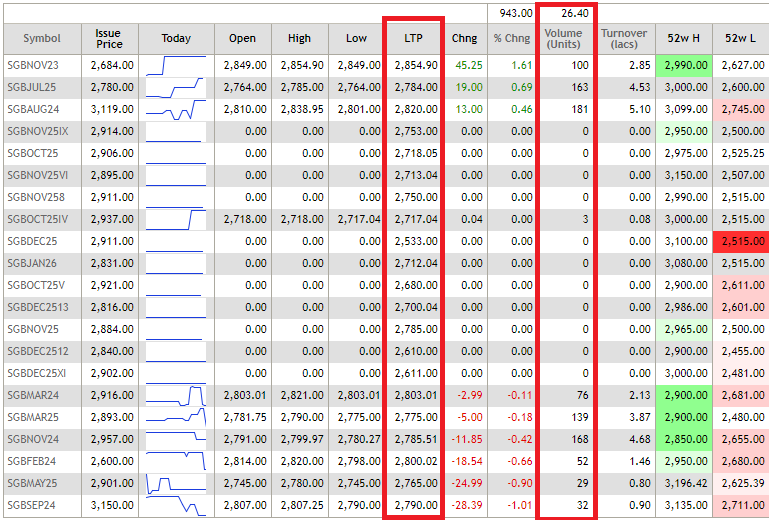 This also shows the liquidity problem that you may face in case you want to sell before maturity. So invest only if you want to retain bonds till maturity. Invest in sovereign Gold bonds only if you wanted to invest in gold or need gold for marriage etc in next 5 to 8 years. These bonds are efficient way of investment as you need not worry about purity; there is no loss of making charges and no tension about safety and storage. Additionally you get 2.5% interest every year. However you should NOT invest aggressively in gold as it would at best give inflation equivalent returns. Also remember exiting this bond mid-way might be difficult! I applied for 10 units of SGB through net banking and not received the bond in physical form. However, confirmation receipt received. What is the mode of dispatching the Bond Certificate by RBI.